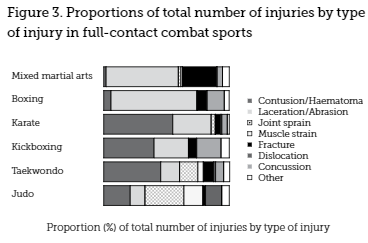 One of the latest safety studies addressing combat sports, published last month in the journal Australasian Epidemiologist, the author compiled data from a total of 47 observational studies addressing injuries in combat sports. 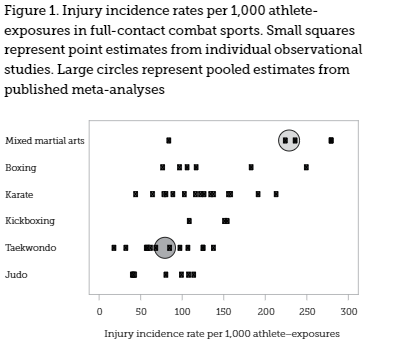 Specifically the author looked for the injury incidence rate, injury patterns and injury severity rates in 6 different sports, namely boxing, judo, karate, kickboxing, mixed martial arts, and taekwondo. 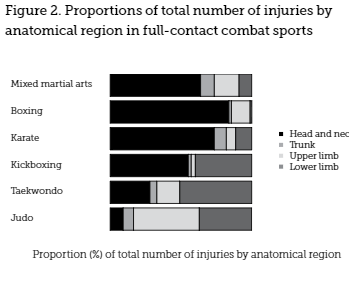 The study found that sports with a striking element had the greatest injury rate with MMA leading the pack followed by boxing and the other striking sports and with Judo having the lowest injury rate of the group. 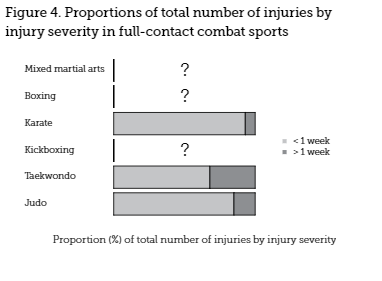 I should mention that a recent study published addressing MMA and boxing injury severity rates noting that while MMA had a greater overall injury rate than boxing, boxing injuries tended to be more severe.